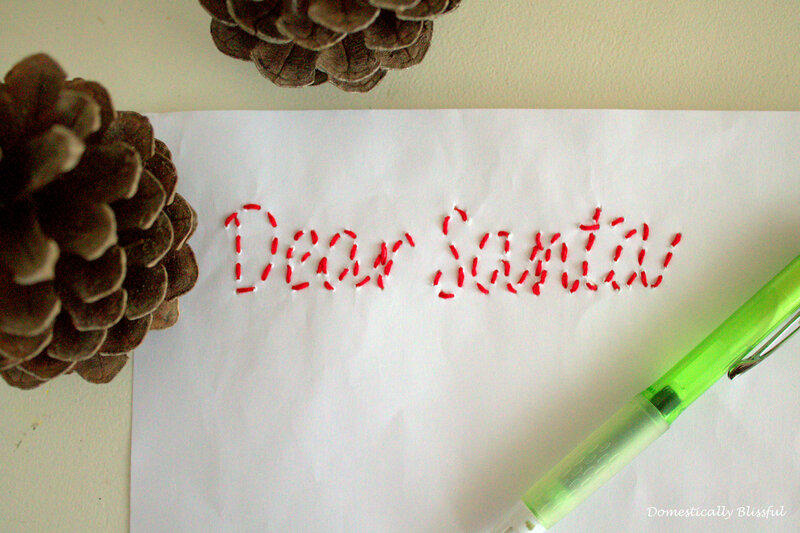 Christmas is exactly 1 month away! 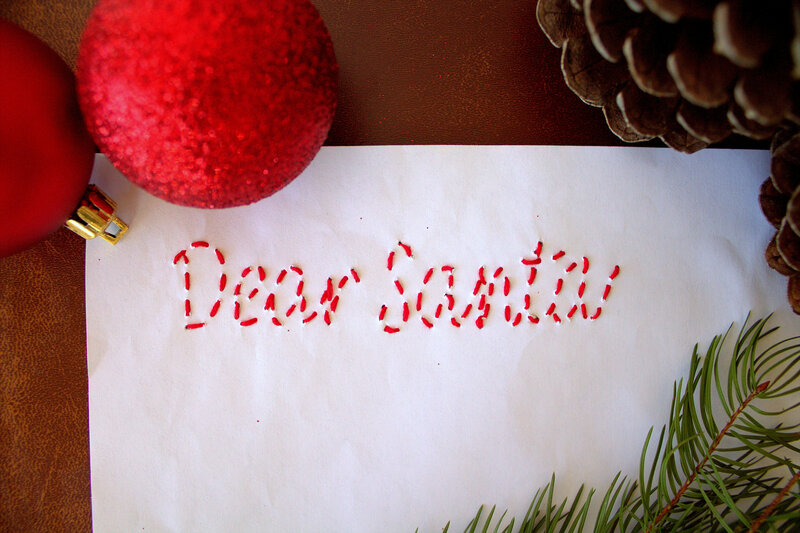 And if you love Christmas as much as me I’m sure you have already started your Christmas shopping for your friends and family – I just love buying presents for people! 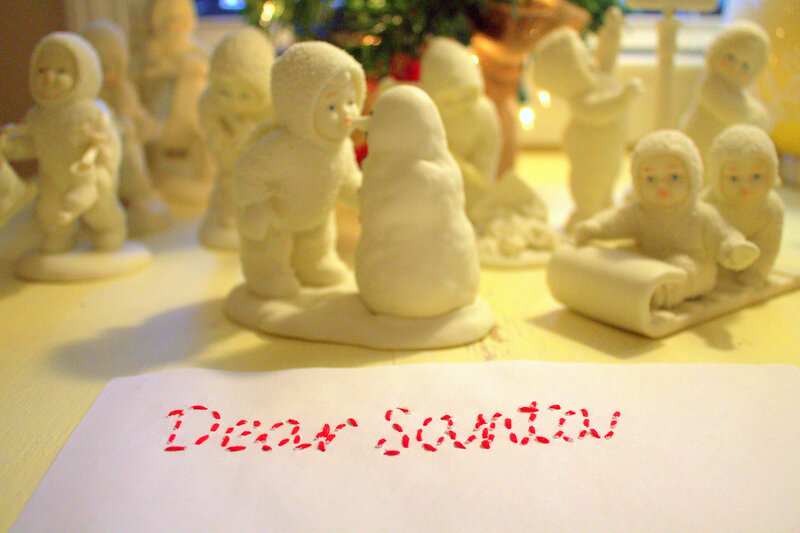 But before you get too wrapped up in the wonderful whirlwind of Christmas don’t forget to write Santa a letter! 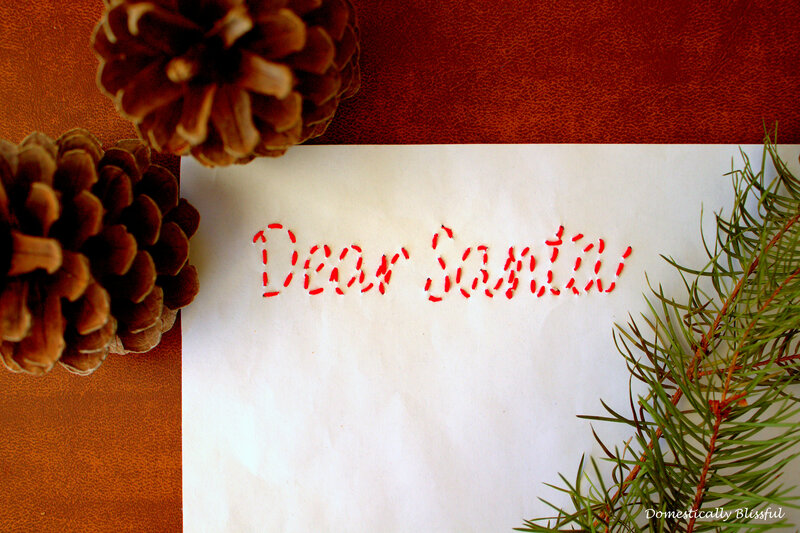 This Dear Santa Letter is a fun little way to decorate your letter to Santa Clause with your children this holiday season. 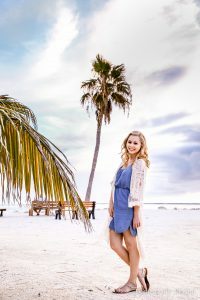 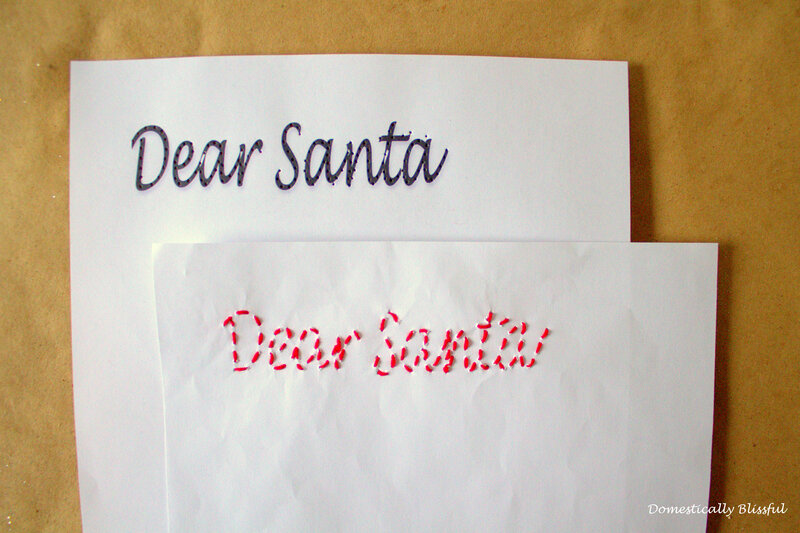 First, print out the Dear Santa Template – if you have pretty handwriting, unlike me, you could easily design your own Dear Santa with a sharpie – and place a blank piece of paper right on top of it lining them up evenly. 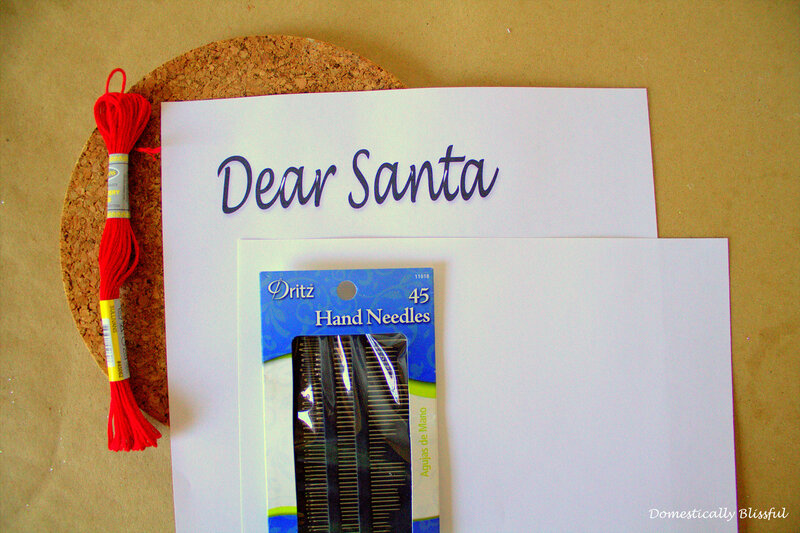 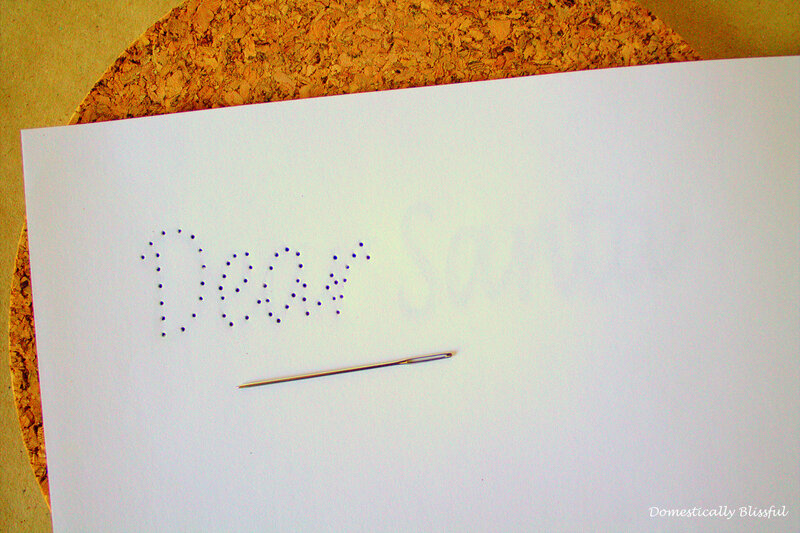 Next, place the two pieces of paper on top of the corkboard and use the needle to poke holes through the paper to form the words “Dear Santa” on the blank sheet of paper. 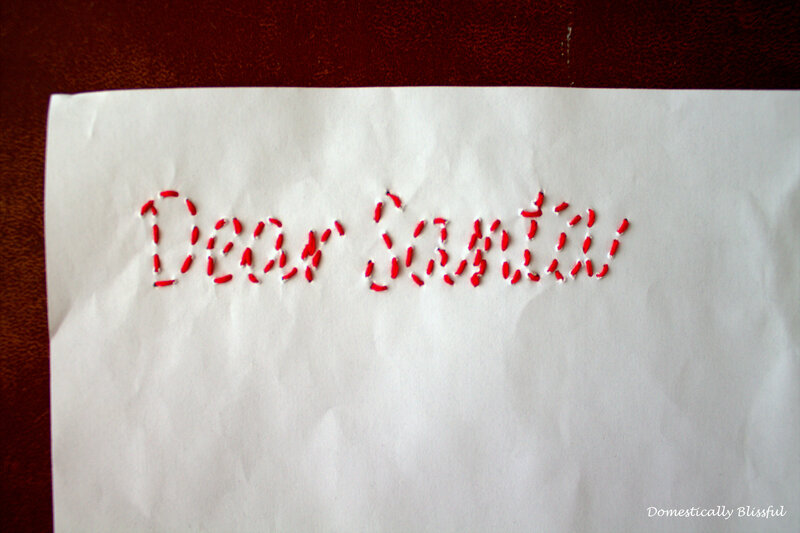 Once you have threaded all of the letters, tie a knot at the end – on the back side of the paper – and start writing your letter!